Why You Should Talk to a Builder BEFORE an Architect! 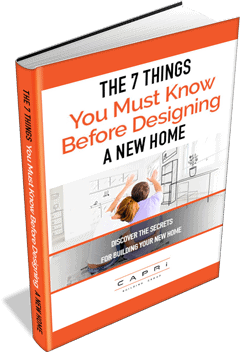 Are you aware that upwards of 70% of building designs are never built. This is mainly due to the fact that during the design process there are no mathematical calculation on the costs involved to complete the build. I’d like to explain why Capri Building Group do things differently. We work with our clients throughout the entire design phase so that your new home will get built. This is all due to our process. 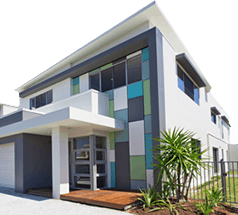 A Professional builder who specialises in one area of building, who has years of experience in this field together with professional team of designers/architects is the complete package. 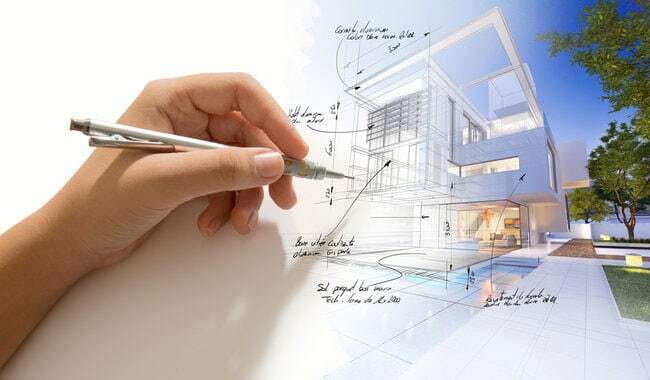 I’d like to give my advice to prospective clients, the only way to ensure that costs are known throughout the design phase is to work with an experienced professional builder who guides the designers & architects and the most cost effective building procedures. Today I’m going to share with you Capri Building Group’s proven 5 step process from concept to completion. Discuss a brief series of questions so I can understand more about what you are looking to create, that way I am able to provide you with my advice and ensure we are the right builder for you. Following our first meeting, we consider all information to give you an indication of our expected project cost. This enables us to start working towards milestones, budget allocations and expectations. From here a preliminary building agreement is drafted up and sent through for approval before the real fun begins. Our designers work with you to develop your building plans (or if you have existing plans they’ll work through them with you to make any changes you might like). Since it’s your home, it’s no surprise that you are involved every step of the way until you are completely satisfied with the design and our preliminary building proposal. From the moment you select Capri Building Group as your builder, you’ll get access to all of your project information through our online portal and mobile app. This is the central knowledge base for your build, where you can access all of your project details, product selections, schedules, milestones and cost information. During this stage we will work together to finalise all of your working drawings and our expert staff with guide you in completing all of your selections, with our system this gives you total control of your budget and eliminates the need for any Prime Cost and Provisional Sum items. All this is happening whilst your plans are lodged in council being approved. You’re almost ready to start building, we have all the information required to give you a fixed price contract, As you have been working with us throughout the entire process using our online systems, it has really opened up communication and allowed you to seamlessly be in control of your budget. So now it is time to receive your final proposal and sign a fixed price contract. Once the contract is signed we will then be able to provide you with a bank pack to get your finance approval, pay your deposit and lock in the start date! Throughout every step of the build process, we work closely with you so you can enjoy a seamless process from concept right through to completion. Our rigorous project management system means that we meet every scheduled milestone and our contract manager makes sure that we meet all of the contract conditions and most importantly continue to guide you through every aspect of the build to ensure you enjoy building your dream Custom Home. The final stage is where we get to show you through your amazing new home. This is our favourite part because we demonstrate all of the features throughout your home – we even turn on all of the appliances so you can see they work. We also provide you with our 6.5 year structural warranty and we’ll stay in touch with you to make sure you are 100% satisfied and love your new home. Remember that if you decide to engage a designer or an architect first upwards of 70% of building designs are never built. Talk to Capri Building Group so that you can complete your custom luxury home within your budget. When looking for your luxury home builder Gold Coast is home to our leading team of construction experts specialising in custom built luxury homes. As industry leaders on the Gold Coast we give you a 100% fixed price contract to build your home and give you 24/7 access to see how your project is progressing, allowing you peace of mind and total control of your budget. Previous Previous post: Do you know how to choose a builder before you start the design process?